Franklin Heide submitted this photo. 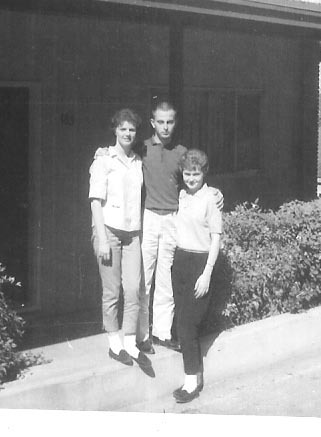 Frank commented, "Here's a pic taken when we visited Paul Schrader & his new bride Donna when he was a freshman at UT-Austin In Feb 1961. The persons left to right are: June Sillings, Guy Mason & Diane Whitley (I took pic). Yes!! we stayed in separate rooms, girls & guys."